Building Math Proficiency in Struggling Learners for PreK-5 PD Available! This 2 day face-to-face module in addition to continuing online follow-up is designed to introduce participants to the 5 strands of Mathematics Proficiency per the National Research Council and how explicit instruction in these areas will help our struggling learners. Participants will also be able to assess fluency with multiple authentic methods in addition to teaching problem solving strategies to assist struggling learners. Register in MyLearningPlan beginning 11/1/17, course title: “Math Proficiency in Struggling Learners.” This course is worth 16 inservice points and counts toward the ESE renewal requirement. Teams of 2-5 professionals from a school site possibly including, but not limited to: an ESE Support facilitator, Math Coach/contact, PreK-5 teachers of students struggling in mathematics. Teams of 2-5 professionals from a school site possibly including, but not limited to: an ESE Support facilitator, Math Coach/contact, K-8 teachers of students struggling in mathematics. Register in MyLearningPlan, course title: “Math Proficiency in Struggling Learners.” This course is worth 16 inservice points and counts toward the ESE renewal requirement. A Math Intervention Inventory was sent out to all school both public and charter in Broward County via ESE Specialists and Math Coaches/Contacts in April 2017. One hundred forty schools responded! 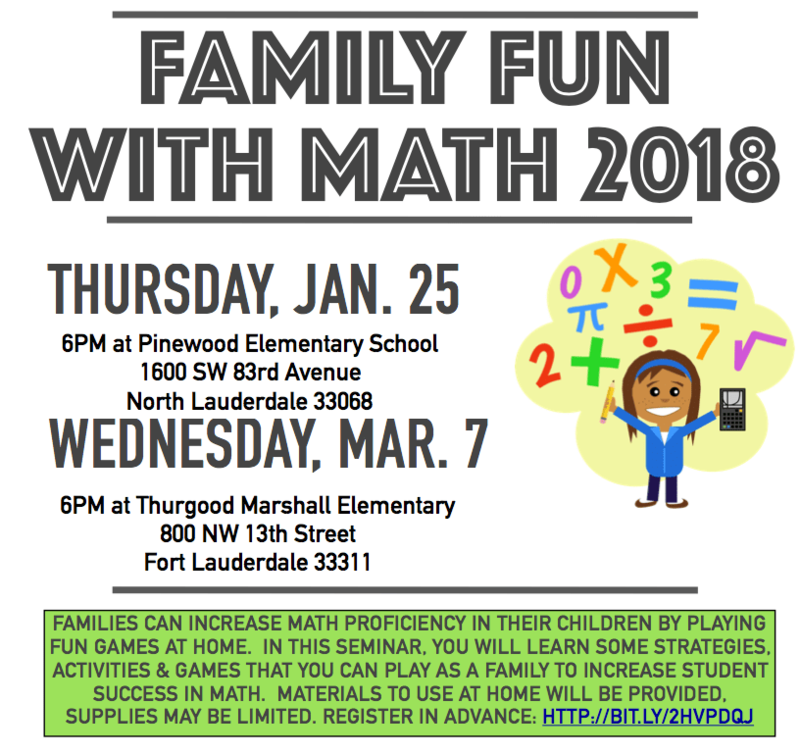 Based on your responses FDLRS Reach (Broward) is offering a variety of Mathematics Intervention Professional Development Opportunities to meet your needs. Some opportunities are face-to-face, while others are provided via webinar, or online modules in Canvas. We are working hard to provide quality PD without pulling teachers away from their students. TouchMath Intervention Professional Development is worth 8 inservice points and does count toward your ESE renewal requirement. Learn everything you need to know about the TouchMath Program in one day and get a firsthand look at the unique, multi-sensory approach to math. We will supply all the materials needed for a hands-on, interactive learning experience. You’ll even be able to download free TouchMath Activity Sheets so you can get started right away! The training will cover addition, subtraction, multiplication and division. You DO NOT need to have a TouchMath kit to attend. Mathematics for Struggling Learners is worth 10 points and does count toward your ESE renewal requirement. This blended learning module including a one-day workshop and continuing online follow-up is designed to introduce participants to subitizing, proficiency in mathematics, authentic fluency assessments and problem solving strategies to assist struggling learners.